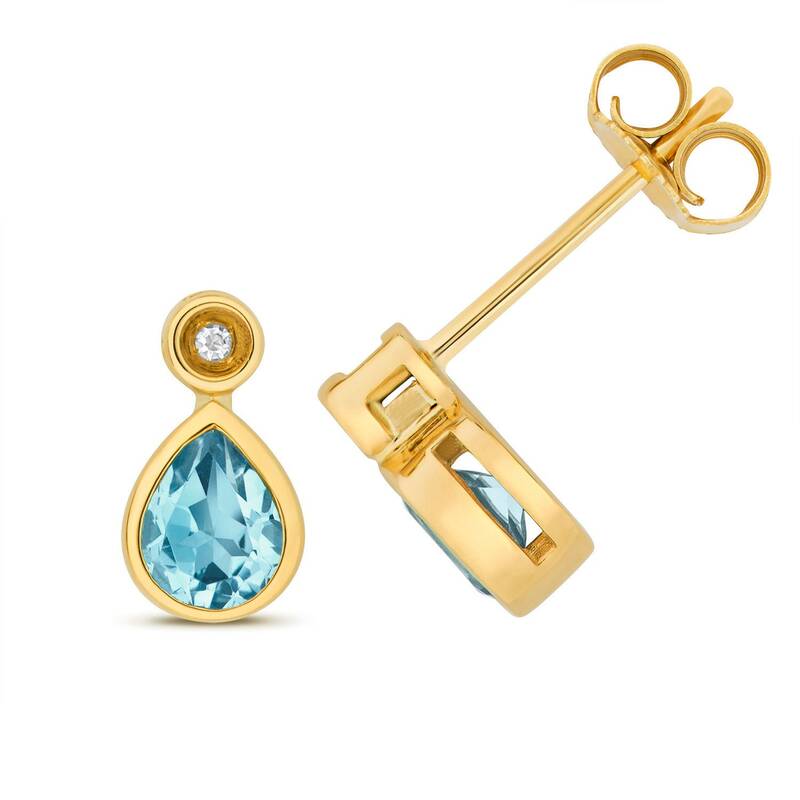 A dainty pair of 9ct yellow gold stud earrings set with brilliant round cut diamonds and central pear cut light Swiss blue topaz gemstones. Topaz size 5x4mm. Post and butterfly fastening.